The Origination Clause, sometimes called the Revenue Clause, is Article I, Section 7, Clause 1 of the United States Constitution. This clause says that all bills for raising revenue must start in the House of Representatives, but the Senate may propose or concur with amendments as in the case of other bills. The Origination Clause stemmed from a British parliamentary practice that all money bills must have their first reading (and any other initial readings) in the House of Commons before being sent to the House of Lords. This practice was intended to ensure that the power of the purse is possessed by the legislative body most responsive to the people, although the British practice was modified in America by allowing the Senate to amend these bills. This clause was part of the Great Compromise between small and large states. The large states were unhappy with the lopsided power of small states in the Senate, and so the Origination Clause theoretically offsets the unrepresentative nature of the Senate, compensating the large states for allowing equal voting rights to Senators from small states. The federal Constitution was written in 1787 and adopted in 1789. Prior to 1787, several state constitutions followed British practice by providing that "money bills" must start in the more representative branch of the state legislature. Vesting the power of origination in the U.S. House of Representatives was part of the Great Compromise, in which the framers also agreed to allow equality in the Senate regardless of a state's population, while creating representation based on a State's population in the House. The framers adopted the Great Compromise on July 16, 1787. At that point, the draft clause stated: "all bills for raising or appropriating money. ... shall originate in the [representative house], and shall not be altered or amended by the [other house]. ... "
In many acts, particularly in the regulations of trade, the object would be twofold. The raising of revenue would be one of them. How could it be determined which was the primary or predominant one; or whether it was necessary that revenue shd: be the sole object, in exclusion even of other incidental effects. Ben Franklin (left) and Elbridge Gerry urged adoption of an origination clause. John Dickinson (left) and Edmund Randolph joined Franklin and George Mason to urge reinsertion of the clause. Regarding the decision to allow Senate amendments, some of the reasoning was given by Theophilus Parsons during the convention in Massachusetts that ratified the Constitution; Parsons said that, otherwise, "representatives might tack any foreign matter to a money-bill, and compel the Senate to concur or lose the supplies." Madison believed that the difference between a permissible Senate amendment and an impermissible Senate amendment would, "turn on the degree of connection between the matter & object of the bill and the alteration or amendment offered to it." During that era, the Continental Congress had a rule stating: "No new motion or proposition shall be admitted under color of amendment as a substitute for a question or proposition under debate until it is postponed or disagreed to." At the Virginia convention to ratify the Constitution, delegate William Grayson was concerned that a substitute amendment could have the same effect as an origination: "the Senate could strike out every word of the bill except the word whereas, or any other introductory word, and might substitute new words of their own." Grayson was not convinced by Madison's argument that "the first part of the clause is sufficiently expressed to exclude all doubts" about where the origination must occur. The house of representatives can not only refuse, but they alone can propose the supplies requisite for the support of government. They in a word hold the purse; that powerful instrument by which we behold, in the history of the British constitution, an infant and humble representation of the people, gradually enlarging the sphere of its activity and importance, and finally reducing, as far as it seems to have wished, all the overgrown prerogatives of the other branches of the government. This power over the purse, may in fact be regarded as the most compleat and effectual weapon with which any constitution can arm the immediate representatives of the people, for obtaining a redress of every grievance, and for carrying into effect every just and salutary measure. This clause resonated with a citizenry opposed to taxation without representation. [The clause] has been confined to bills to levy taxes in the strict sense of the words, and has not been understood to extend to bills for other purposes, which may incidentally create revenue. No one supposes, that a bill to sell any of the public lands, or to sell public stock, is a bill to raise revenue, in the sense of the constitution. Much less would a bill be so deemed, which merely regulated the value of foreign or domestic coins, or authorized a discharge of insolvent debtors upon assignments of their estates to the United States, giving a priority of payment to the United States in cases of insolvency, although all of them might incidentally bring, revenue into the treasury. Both parties agree that "revenue bills are those that levy taxes in the strict sense of the word, and are not bills for other purposes which may incidentally create revenue." Twin City Bank v. Nebeker, 167 U. S. 196, 202 (1897) (citing 1 J. Story, Commentaries on the Constitution § 880, pp. 610–611 (3d ed. 1858)). The Court has interpreted this general rule to mean that a statute that creates a particular governmental program and that raises revenue to support that program, as opposed to a statute that raises revenue to support Government generally, is not a "Bil[l] for raising Revenue" within the meaning of the Origination Clause. What this means exactly is disputed. According to one scholar, a statute is outside the scope of the Origination Clause if it, "imposes an exaction not to raise revenue, but to enforce a statute passed under the Commerce Clause or other enumerated power." However, according to another scholar, even exactions imposed only under the taxing powers of Congress are outside the scope of the Origination Clause if Congress "earmarks revenues to fund a program it creates." Regarding the latter view, Justice John Paul Stevens suggested in 1990 that its tendency was to "convert the Origination Clause into a formal accounting requirement. ... "
A bill that lowers taxes instead of raises taxes may still be a bill for raising revenue, according to the United States Court of Appeals for the Ninth Circuit. Assuming that a bill is for raising revenue, a further ambiguity in the clause involves how far the Senate's right to amend extends. According to law professor Jack Balkin, the Senate may take a House-originated revenue bill, and "substitute a different bill on a different subject." On the other hand, law professor Randy Barnett says: "The Supreme Court has never approved the 'strike-and-replace' procedure. ... "
A law passed in violation of the Origination Clause would thus be no more immune from judicial scrutiny because it was passed by both Houses and signed by the President than would be a law passed in violation of the First Amendment. In 2012, the joint dissent in the U.S. Supreme Court case National Federation of Independent Business v. Sebelius mentioned that "the Constitution requires tax increases to originate in the House of Representatives" per the Origination Clause, though that issue was not addressed by the majority opinion. In 2014, Sissel v. U.S. Department of Health and Human Services, a challenge to the Affordable Care Act brought by the Pacific Legal Foundation based upon this clause, was rejected by a panel of the United States Court of Appeals for the District of Columbia, and that court later declined a request to put the matter before all of its judges ("en banc") over a lengthy dissent authored by Judge Brett Kavanaugh. In 2013, during the United States federal government shutdown of 2013 and the United States debt-ceiling crisis of 2013, the Republican-led House of Representatives could not agree on or pass an originating resolution to end the government crisis, as had been agreed, so the Democratic-led Senate used bill H.R. 2775 to resolve the impasse by using the Continuing Appropriations Act, 2014, an insignificant bill that originated in the House, which it amended all the tax and appropriation measures so to satisfy the formal requirements of the Originating Clause. Revenue-raising bills must have started in the House (right) and moved to the Senate (left). ^ a b c Wirls, Daniel and Wirls, Stephen. The Invention of the United States Senate, p. 188 (Taylor & Francis 2004). ^ Gold, Martin. Senate Procedure and Practice, p. 135 (Rowman & Littlefield 2008). ^ a b Sargent, Noel. "Bills for Raising Revenue Under the Federal and State Constitutions", Minnesota Law Review, Vol. 4, p. 330 (1919). ^ a b Meigs, William. The Growth of the Constitution in the Federal Convention of 1787, pp. 110–112 (Lippincott 1900). ^ Farrelly, Marie. "Special Assessments and the Origination Clause: A Tax on Crooks? ", Fordham Law Review, Vol. 58, p. 447 (1989). ^ a b Saturno, James. "The Origination Clause of the U.S. Constitution: Interpretation and Enforcement", CRS Report for Congress (Mar-15-2011). ^ Woodrow Wilson wrote that the Senate has extremely broad amendment authority with regard to appropriations bills, as distinguished from bills that levy taxes. See Wilson, Woodrow. Congressional Government: A Study in American Politics, pp. 155–156 (Transaction Publishers 2002). Likewise, according to the Library of Congress, the Constitution is the source of the origination requirement for revenue bills, whereas tradition is the source of the origination requirement for appropriation bills. See Sullivan, John. "How Our Laws Are Made", Library of Congress (accessed August 26, 2013). ^ Naroll, Raoul. Clio and the Constitution: The Influence of the Study of History on the Federal Convention of 1787, p. 140 (UCLA 1953). ^ a b c Graham, John. Free, Sovereign, and Independent States: The Intended Meaning of the American Constitution, pp. 238–240 (Pelican Publishing, 2009). ^ Luce, Robert. Legislative Problems: Development, Status, And Trend Of The Treatment And Exercise Of Lawmaking Powers, p. 417 (Houghton Mifflin 1935, reprinted by The Lawbook Exchange 2005). ^ Watson, David. The Constitution of the United States: its history application and construction, p. 346 (Callaghan 1910). ^ a b c Medina, J. Michael. The Origination Clause in the American Constitution: A Comparative Survey, Tulsa Law Journal, Vol. 23, p. 165 (1987). Madison also wrote this in Federalist No. 45: "[T]he present Congress have as complete authority to REQUIRE of the States indefinite supplies of money for the common defense and general welfare, as the future Congress will have to require them of individual citizens." ^ Horn, Stephen. Unused Power: The Work of the Senate Committee on Appropriations, p. 249 (Brookings Institution Press 1970). ^ Vile, John. A Companion to the United States Constitution and Its Amendments, p. 35 (ABC-CLIO, 2010). ^ Nowell, Edwin. A history of the relations between the two houses of parliament in Tasmania and South Australia: in regard to amendments to bills containing provisions relating to the public revenue or expenditure, pp. 130–131 (Tasmania 1890). ^ Story, Joseph. Commentaries on the Constitution (1833). ^ Krotoszynski, Ronald. "Reconsidering the Nondelegation Doctrine: Universal Service, the Power to Tax, and the Ratification Doctrine", Indiana Law Journal, Vol. 80 (2005). ^ Flint v. Stone Tracy Co., 220 U.S. 107 (1911). ^ a b Hubbard v. Lowe, 226 F. 135 (S.D.N.Y. 1915), appeal dismissed mem., 242 U.S. 654 (1916). ^ a b United States v. Munoz-Flores, 495 U.S. 385 (1990). ^ Sandefur, Timothy. "So it's a Tax, Now What? : Some of the Problems Remaining After NFIB v. Sebelius", Texas Review of Law and Politics, Vol. 17, p. 204 (2013). ^ Kysar, Rebecca. "The 'Shell Bill' Game: Avoidance and the Origination Clause", Washington University Law Review, Vol. 91 (2014). ^ Balkin, Jack. "The Right Strikes Back: A New Legal Challenge for ObamaCare", The Atlantic (September 17, 2012). ^ Barnett, Randy. "New Obamacare Challenge: The Origination Clause", The Volokh Conspiracy (September 13, 2012). ^ Fisher, Daniel. "Obamacare Dissents Poke Holes In Roberts' Reasoning", Forbes (June 29, 2012). ^ Eastman, John. "Hidden Gems in the Historical 2011–2012 Term, and Beyond", Charleston Law Review, Vol. 7, p. 19 (2012). ^ Sissel v. DHS (D.C. Cir. 2014). See also Hotze v. Burwell (5th Cir. 2015). ^ Sissel v. DHS , "On Petititon for Rehearing En Banc" (August 7, 2015). "Article 1, Section 7, Clause 1", The Founders' Constitution, University of Chicago (2000). Zotti, Priscilla and Schmitz, Nicholas. “The Origination Clause: Meaning, Precedent, and Theory from the 12th Century to the 21st Century”, British Journal of American Legal Studies, Vol. 3 (Spring 2014). Jensen, Erik, "The Origination Clause", The Heritage Guide to the Constitution. Natelson, Robert. The Founders’ Origination Clause (and Implications for the Affordable Care Act), The Independence Institute (August 3, 2014), via SSRN. Riddick, Floyd. "Revenue", Senate Procedure, p. 1214 (1992). Hinds, Asher. 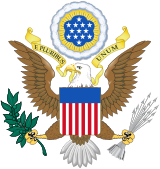 "Prerogatives of the House as to Revenue Legislation", Hinds' Precedents of the House of Representatives of the United States, p. 942 (U.S. Government Printing Office 1907). Smyth, Daniel. The Original Public Meaning of Amendment in the Origination Clause Versus the Patient Protection and Affordable Care Act, British Journal of American Legal Studies, Vol. 6(2), forthcoming.